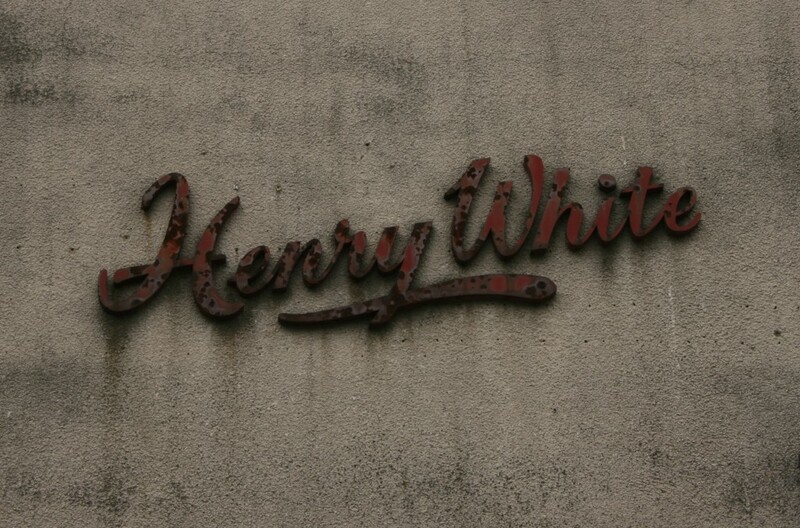 Slightly overshadowed by the ‘SOLD’ sign at the time I visited, the former Henry White Ltd. premises on Summer Street (just off Marrowbone Lane) features a small sign on the expanse of render. It’s a small thing, but the effect of the sign is like a signature on the building, a little flourish to mark it out as an address where something stylish (though not likely contemporary) is happening. 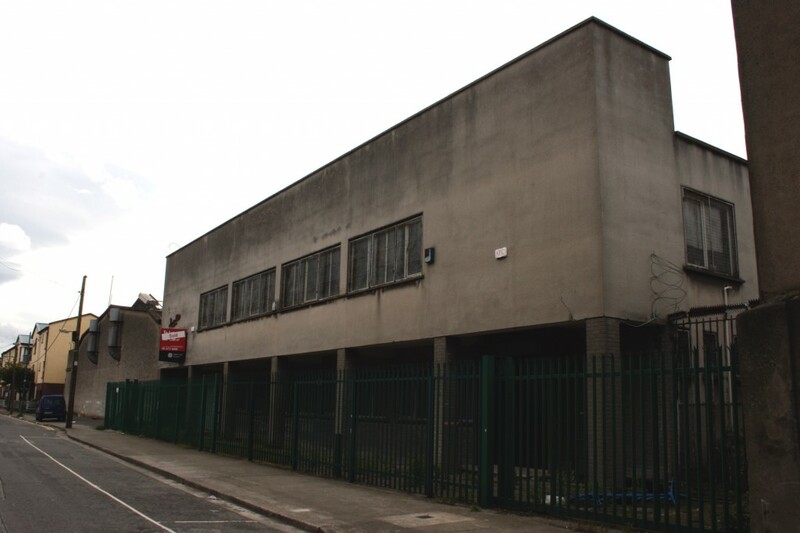 From a distance or from above, it’s an industrial unit with a roof made of north lights and little externally to distinguish it from its neighbours, but the sign stands apart. The effect of the weathering blurring the edges of letters makes it more interesting to look at and to trace the lines, though it must have looked handsome when it was crisp and new. There’s some rather wonderful potential for taking the wrong meaning out of a 1988 headline in The Irish Times which asserts that “Henry White styles are dateless wonders.” The business was established in 1932 by the eponymous Henry, manufacturing “ladies’ fashions” (though they certainly went into menswear at some point, too). The 1970s appears to have been a decade of change for the company, with reports of a move towards attracting a younger and less conservative customer, and expansion into North America. This overseas expansion appears to have been a success, also launched in the UK and Japan by the 1980s, and winning an Industrial Development Authority award. In my ignorance, I hadn’t come across Henry White Ltd before (as much as I’d love a good classic wool coat!) and was surprised to see the company highlighted in January sales bargains into the 2000s, not to mention appearing in many eBay listings.